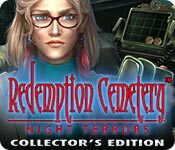 Redemption Cemetery: Night Terrors Collector's Edition is rated 3.4 out of 5 by 32. 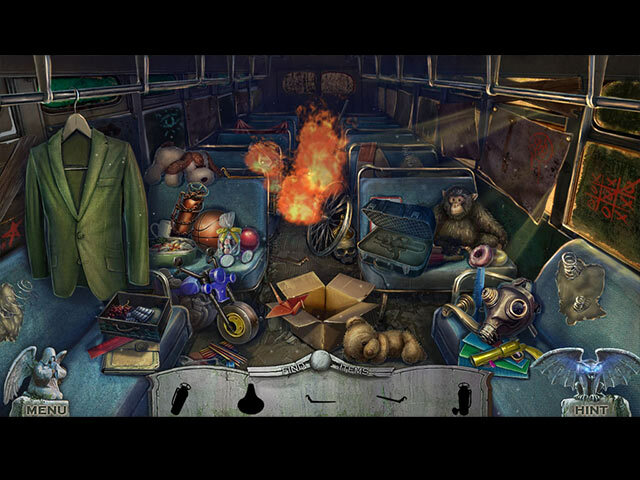 Rated 5 out of 5 by CheyenneStar from Great Game Scary, entertaining but few hidden objects. Rated 5 out of 5 by deddu from Night Terrors I beta tested this game and could not wait for it to come out and it didn't disappoint. 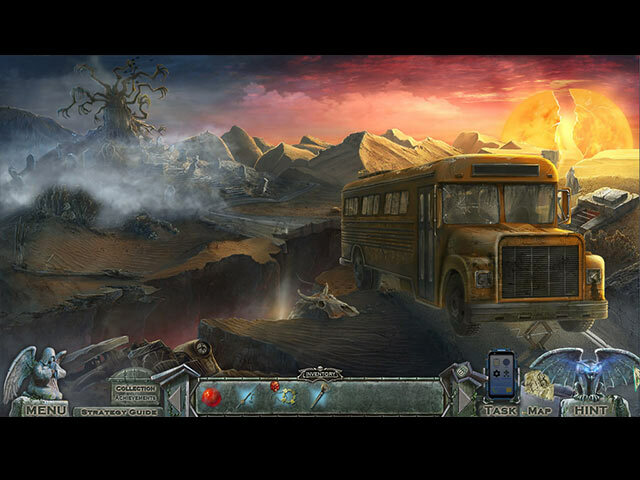 The game was long and involved with helping to relieve individuals of their night terrors. There were a variety of mini-games and hidden objects. The collections and achievements were fun to find, and the Bonus game was also very well done. Rated 5 out of 5 by expotanne from Great addition to the series! I have every single one of the Redemption Cemetery series, and I have to say that this is one of my favourites. 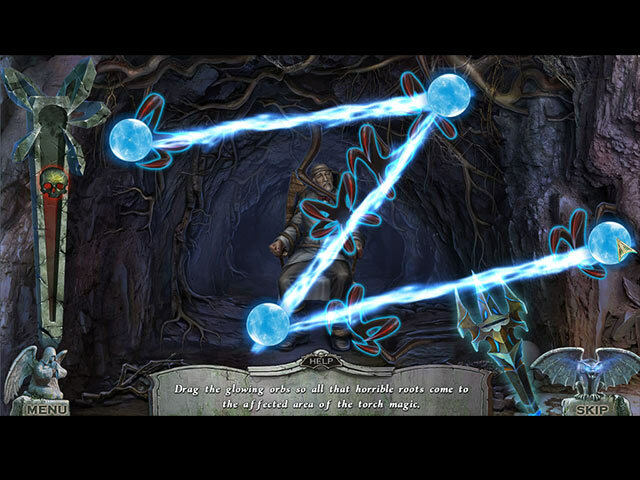 This review is based on completion of the Collector's Edition of the game. You get to collect little dolls/figures from previous games, the cut scenes actually made me jump a couple times and the graphics are, as always, top notch. That said - this follows the 'traditional' Redemption Cemetery formula, you arrive at a location and suddenly you have to save three people from their own nightmares/guilt etc., and in the bonus game you save an extra one. You even get to rescue a turtle. There is a part of the main game where you search using cameras, keep an eye out for hamsters - you get an achievement if you find all three. There is even a little road game you can play on your character's phone which earns you points too. Simply put, I love these games but I feel that the 'rescue' scenarios appear to get shorter and shorter towards the end of the game, almost as if they are running out of time - which is a shame but could just be me. Anyway, this is a great game and a welcome addition to the series. Rated 5 out of 5 by auntjanell from One of the best!!! I have purchased all of these games and this has got to be my favorite. Many new little additions within the HO areas that make it more interesting. I do realize that the story doesn't take place in a cemetery, but i can overlook it. It's got everything for it to be a good game!! Rated 5 out of 5 by 1955raven from I'M WIDE AWAKE!!! THIS REDEMPTION CEMETERY IS EXCELLENT! THIS IS AMUST BUY FOR REDEMPTION CEMETERY FANS. 5+ STAR GAME! Rated 5 out of 5 by biscuitsmama from DO NOT FALL ASLEEP! Oh no don’t fall asleep! Wake up – you must wake up my friend! With those words Redemption Cemetery Night Terrors, is finally here. As the game begins you receive an urgent message from Jane, an acquaintance from your college days, who desperately needs your help. Jane and her colleagues are being stalked by nightmarish killer and a deadly virus that strikes its victims when they fall asleep. Of course, you rush to her aid and then realize just how serious the situation has become. Are you too late or can you save Jane and her colleagues before all is lost? Enter this new Redemption Cemetery and find a way to stop the deadly virus. The excellent hand-drawn artwork, voiceovers, and soundtrack with terrific background music and special effects all combine to create an entertaining gaming experience. There is a custom mode of gameplay available for those of you who like to set up your hint and skip times. You also have a transporter type map that will allow you to move quickly through the scenes and locate areas where tasks are available. Although the HOPS and puzzles are nothing really new for those of us who have been around awhile, they are still good. The HOPs are interactive and the artwork in the scenes makes the items identifiable and fairly easy to spot. The developer uses the standard list type most often but there are other types of scenes as well. The puzzles are fairly easy but I did encounter some challenge with one or two puzzles in the demo. As is generally the case, I know that the puzzles will become increasingly difficult as the game progresses. If you prefer the CE version of games this one includes finding statuettes that depict characters from other games in the series. For those of you who love earning achievements the ones in Night Terrors are multi-level. This developer is not known for providing a lot of extra content but there is the in-game strategy guide available for those times when you need an extra nudge. There is a bonus game plus music tracks, videos, concept artwork, wallpapers, and screensavers. You can also replay the puzzles and HOP scenes and a bonus game. There have been some excellent games in the Redemption Cemetery series and then there were those that I didn’t like at all. In recent years the Redemption Cemetery games has become stale and redundant but Night Terrors proves that there just might be a spark of life still left. I was pleasantly surprised that I was drawn into the storyline and didn’t want to quit when the demo ended so, of course, I had to hit that buy button so I could see how the story unfolds. Although I am enjoying the game, please try the demo to see if Night Terrors is a game you will like as well. Rated 4 out of 5 by Sara6777 from For an ERS Game...Top Knotch! As you can tell by my title, I'm not a fan of ERS games, usually. I do have a couple from this series, and this one is probably my favorite. While it still has that ERS vibe, it's a great story, and I enjoyed the game.It has some unique features that made it a purchase, for me...i.e. the microscope/virus in one of the opening HOS. As always, try the demo for yourself...and enjoy!! Rated 4 out of 5 by Torpedo1 from They burry them in the front yard Pretty good addition to the series. It had some boo factor, Good Character, Nice interaction with Characters, Good game flow, Plenty to do, Decent puzzles, Nice HO's, And again thank god for a jump map. A few times I needed that jump map to find out where to be for action. This goes into the top are of my to buy list.